A few weeks back, comedian & actor T.J. Miller asked folks around the country to help raise funds for The Lincoln Lodge to find a new venue. If you know anything about the history of the Chicago indie comedy scene, you know that the Lincoln Lodge played a pivotal role in helping many find their voice. Comedians like Kumail Nanjani, Nick Vatterott, Hannibal Buress and many more cut their teeth at the Lodge. Unfortunately, The Lincoln Lodge lost their partnership with the Lincoln Restaurant which was it's home for many years. And although the Lodge moved it's show to the SubT Lounge (at 2011 W. North Avenue), that transition has not been without it's own issues, and so the longest running independent show in America, finds itsels searching for permanent roots. We interviewed Mark Geary (via email), long time producer of the Lincoln lodge, to learn more about the fundraising campaign which has already raised $50K privately to help them open a new venue this summer ($30,000 is still needed). Comedy of Chicago: Mark, for those that are not familiar, give us a little background, how did the showcase get started and how long has it been running? Mark Geary: The Lincoln Lodge started in 2000 and was the brainchild of original co-producer Thomas Lawler. He engaged me for production expertise to build a truly unique comedy showcase in an interesting venue. The idea of using an unlikely venue like the back of an old diner (The Lincoln Restaurant) was not just cost driven but also to give the show that vaguely subversive edge. 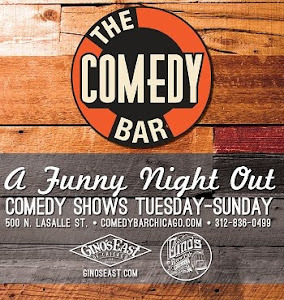 COC: Why is an independent showcase like the Lincoln lodge, so important to a comedy scene like Chicago's? MG: Although 'brick wall' comedy clubs provide the economic engine for the stand up scene it is the independent showcase rooms that provide the excitement and innovation of the art form. There is a synergy between the two that is important in making the city a stand up comedy destination. I feel the Lodge is important in a special way because it has become the template for showing how to do an independent showcase well. The whole concept of having a cast and trying to bring professional production values to an independent room is very much rooted in the history of the Lodge and the two key predecessors (The Elevated and Midnight Bible School) that provided it's inspiration. COC: How did losing the restaurant space, which had been home for so long. impact the show? We were very lucky that when the Lincoln Restaurant closed our inbox immediately filled with invitations from other venues inviting us to move the show to them. What was challenging is that at the time we were really running three or four nights a week with The Lodge, Blackout Diaries, special headliner shows and a group of once-a-month shows (Whiskey Journal live, Double Feature...) so it was a very tough fit to get a good location with the access we needed. Luckily Subterranean were able to accommodate for all our needs so we opened up again just 2 months after the farewell gala at the Lincoln restaurant. However what followed was a tale of political skullduggery that scuppered our best laid plans. Along with the venue management we assumed running comedy at SubT would present no problems since they already have a license to run shows there 7 night a week. However some 'vigilant' 3rd party with an intimate knowledge of city entertainment licensing took the time to look up the specific zoning for the venue and found that the performance license was applicable only to 'music and dance'. Said individual, presumably not with the best interests of our nonprofit organization at heart, then filed a complaint with the city that The Lincoln Lodge was operating at Subterranean. The upshot was that we could no longer charge an official entrance fee to the shows and could accept only donations at the door. This immediately torpedoed 75% of our programming and has reduced the revenue we were creating for local comics by about 60%. Thanks 'concerned citizen'! COC: What's your ultimate vision for the Lincoln lodge? The Lincoln Lodge will continue to operate the way it always has - run by the cast with stage time for local comics as its priority. What is more important is what the future vision is for Tight Five Productions - the nonprofit that runs not only the Lodge but Feminine Comique, Stand Up Seminary and all the other special event projects we've done in the past. We need to get back to providing the volume of stage time and revenue for local comics that we were back in 2013 and not only that but to do even more for the local scene and local community. COC: Tell us about the fundraiser and how it would help achieve that vision. MG: The fundraiser is the first important step to creating a brand new model that does not currently exist in American stand up comedy. The main goal is to raise enough money to create a venue dedicated purely to independent comedy shows and run it as a true nonprofit model. Currently the independent scene is fairly healthy but so many of us struggle with lack of resource or production issues in one way or another. Whether its not being able to charge a nominal cover, shows being cancelled because of other events at the venue, inadequate light/sound facilities, production costs...whatever... I guarantee you every show has something its dealing with. If we have a venue that will host not only the Lodge but ANY OTHER independent showcase rooms with the hustle to create a great show and go find an audience we will have something truly unique for Chicago. By using the nonprofit status to get donations and using revenue from classes and star alumni shows to subsidize the venue costs we can create a theater that will allow performers to create a show and then run it themselves with total control over what they do with production, finances and marketing. This is the model that so many other arts disciplines (opera, ballet, theater...) use so why can it not be applied to stand up? It's very easy for Comedians to go up on stage with their fashionable haircuts and skinny jeans talking about "community values" and pretending to have Socialist leanings but now Tight Five is going to put the stand up scene's feet to the fire and see if they can match the rhetoric with action! 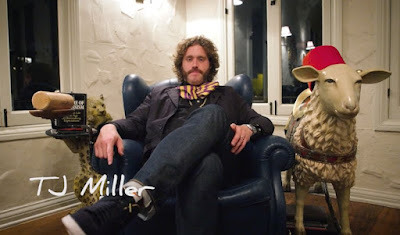 COC: TJ Miller and a slew of other successful comics with ties to LL, appeared in heartfelt video to support the fundraising endeavor. What is it about this showcase that makes it so special to so many amazing comedians? MG: In a word... Ownership. The Lodge is not a traditional stand up model where money is traded for yuk-yuks. Every cast member and comedian that ever believed in what we do has been empowered to create the show in the image they'd like so even after they leave a lot of them have that feeling that the Lodge remains part of their DNA. Plus there's the whole integrity and doing right by the comedians 'thing' we tend to bang on about incessantly. COC: What is it you want Comedy fans and LL supporters to "get" & understand about what you're trying to achieve with the new venue project? 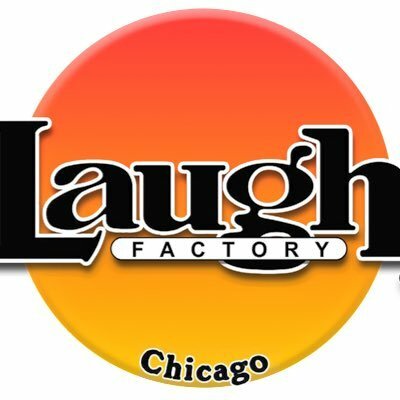 That what we build will be something truly unique and will be owned, shaped and run by the entire Chicago comedy community. If we can nurture and create the production line of talent Chicago has seen in the last 17 years out of the back of a diner performing one night a week imagine what we could do with a dedicated venue running many different shows 5 nights a week! Please get behind this project, this is not just about the Lincoln Lodge but will be a resource that will massively enrich the comedy community and the city of Chicago.